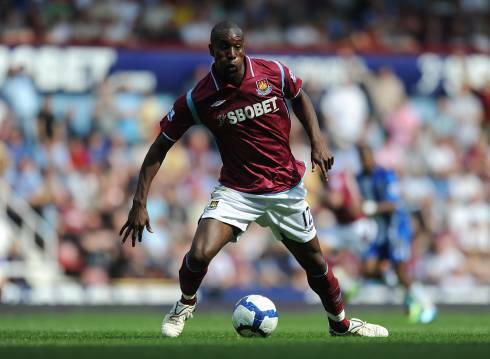 Word on the wind this morning is that Everton are the latest in a long line of clubs to enquire as to the availability of West Ham striker Carlton Cole. Toffee’s manager David Moyes is hoping to recieve a cash-injection to put towards bolstering his squad over the summer, and is also willing to let a few fringe players (Yakubu) leave to help fund a mini-overhaul. Everton have had to rely on their midfield to score the majority of the club’s goals this season and, with Moyes usually favouring to field a solitary striker (a role that Louis Saha has struggled with at times), Cole (whose pace, height and strength suit the target man role perfectly) could turn out to be an effective acquisition for the Merseyside club. However, Everton may face competition from Liverpool, Aston Villa, Arsenal and even Bayern Munich for the £10-million-rated forward. hmm and the difference between him and the yak is ?